You're viewing the latest blog post! Be sure to check back soon for more! 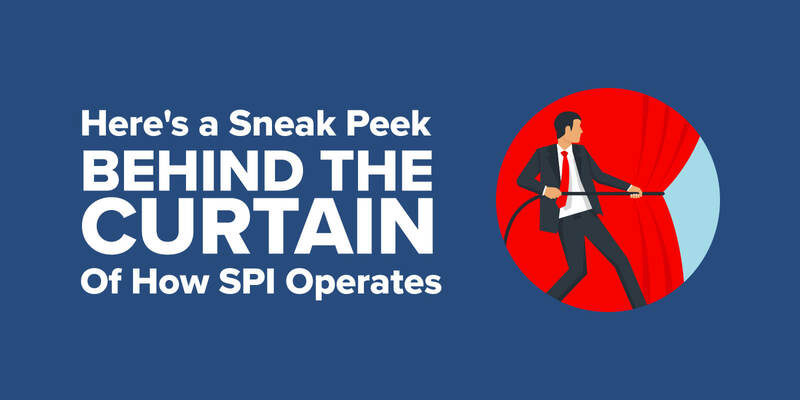 Editor’s Note: This is the first in a new series we are testing out here at SPI, and you know how much we love experiments! We’re inspired by other journal-like content we’ve seen around the web like the Money Diaries and Feel Good Diaries from Refinery29, as well as the standard format of the much loved How I Work series from Lifehacker.com. In this series we hope to capture a vast array of not only different types of work that people do in the online space, but also the different ways we all work toward our goals and positive impact with our jobs, businesses, or brands. We’re starting off this series with the members of Team SPI and, if it’s a hit, we are kicking around the idea of turning this series into an ongoing feature by expanding it to include reports from you, Team Flynn! 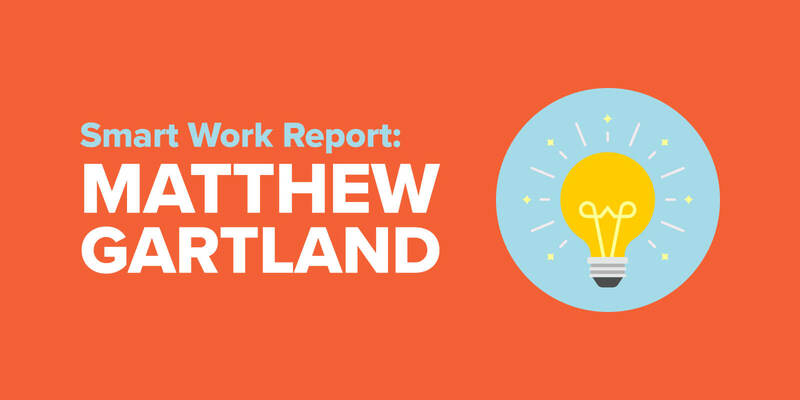 So let’s get right to it: the first Smart Work Report from SPI’s COO & CFO. As COO and CFO, I’m responsible for a lot of stuff across a multi-dimensional landscape of things. Some things are big picture and strategic (e.g. crafting our business plan; leading the development of our mission, vision, and core values) while others are small and tactical (e.g. writing this article, managing cash flow). Some things are one-dimensional (e.g. finance work like our revenue projections and month-end close) while others are multifaceted (e.g. culture building across the team and creating integrated workflow principles and standards). It can be a lot to keep straight sometimes, even for someone like me who considers organization a superpower. Here now is a voyage back in time to a snapshot of my workweek about six weeks ago, at the beginning of March. 7:45 a.m. I’m excited to get back in the saddle today after a somewhat crazy weekend. The arrival of baby (my first!) is inching ever closer—less than two weeks away! It’s actually soothing in many ways to focus my mind on work versus baby stuff. Lots still to get organized for Pat and the team before I go on my parental leave. Time to seriously lean into my leave planning this week. Also, it’s time to complete the financial close for month-end February. Note to self: connect with Sara Jane about last month’s AP transactions to make sure those are up to date to factor into the close. And I need to sync directly with Pat, hopefully today, on a boatload of business items that he’s behind on while traveling in NYC last week with Caleb to promote SwitchPod. Wow, it’s going to be a doozie of a week. 3:07 p.m. I just got out of the weekly staff meeting with the team. It’s energizing to see everyone motivated for a productive and positive week. 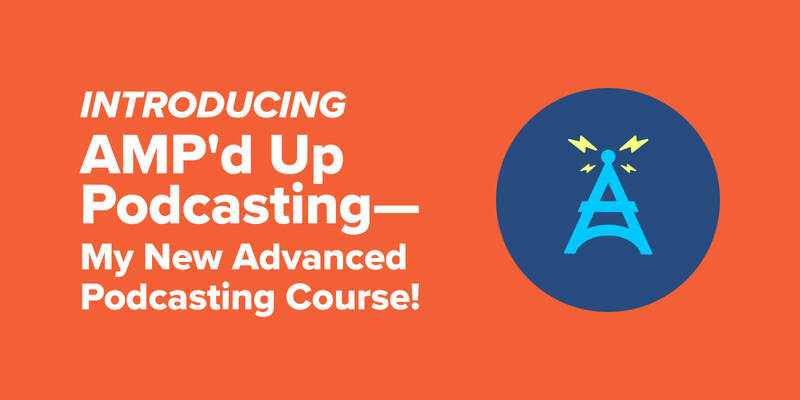 Goodness, there’s still quite a bit to go in preparation for the big AMP’d Up Podcasting course launch later this month. I need to connect with Mindy during my office hours this week to give her some styling feedback on her landing pages. They’re looking very good but some elements can definitely be improved to make the experience more elegant and appealing, which should aid—however marginally—in conversion rates. Generally, it was a good staff meeting, but I’m still frustrated by some kinks in our communications and workflow. It wasn’t as fluid as it needs to be. I need to give some reinforcing and re-encouraging feedback to a couple folks. 4:50 p.m. The day of one-on-one meetings is almost done! I love connecting with all of my direct reports. It’s a vital part of my role—to listen to their needs, help remove key obstacles in their path, exchange performance feedback, process their frustrations and anxieties, provide counsel and training, and ensure that we remain on the same page with their immediate priorities that support our goals at the monthly, quarterly, and annual levels. That said, it never ceases to surprise me just how exhausting these days can become. So much of productivity and success comes down to how well energy levels are managed. I find that while helping others process their feelings, lower their anxieties, focus their attention, and otherwise guide their work, there’s an invisible energy transfer between us. Intaking their ideas, concerns, frustrations, asks for help, and returning support, insights, answers, decisions, and other outputs that help them move forward boosts their energy while sapping mine. It’s the nature of servant leadership for sure, a condition that I think is essential to remain mindful about so that I can stay sharp and at the top of my game. Okay, enough rambling. Time for my last one-on-one. 7:15 a.m. I’m hunkering down today at Brick House Blue, a new-ish coworking facility here in Columbus. Sara Jane is meeting me in a couple of hours, which we try to do at least once a week to get some invaluable in-person collaboration time together. On the docket today: management principles, workflow, and systems review; FlynnCon budget check-in; finance sync on month-end close, cash flow, and open items; parental leave coverage planning for me; and further professional development planning for her. I also need to try to sync with Pat directly on some FlynnCon housekeeping items for alignment purposes ahead of Janna’s team-wide FlynnCon meeting over lunch. I’m so glad we’re finally starting dedicated FlynnCon staff meetings. There’s way too much in flight with that initiative than can be responsibly addressed in just our Monday staff meetings. And frankly, cramming that stuff in on Mondays was definitely contributing to some of the growing angst and fluidity issues of those meetings. Time to get in gear and organized for the day before Sara Jane arrives. 3:45 p.m. It’s break time, phew! I’m back at my home office after a good day at Brick House. I’m glad Pat and I had a chance to sync earlier on some critical stuff before the FlynnCon team meeting, which went well. Great progress across the board from everyone with their respective commitments. I’m still nervous about the budget at this point but I know that’s still a bit premature given that we haven’t had the in-depth budget review yet, which is scheduled for tomorrow. It was also helpful to iron out some role/responsibility kinks across the various FlynnCon work streams. 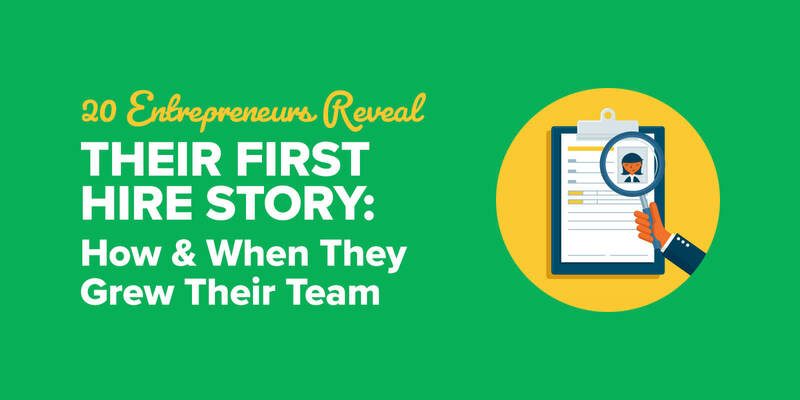 Roles and responsibilities—they’re soooo darn important to get clear and get right. It’s an operational element that should never be taken for granted or treated casually. And even if you have nailed it, never take your eye off that ball. Oh, and the working time with Sara Jane was super productive. Month-end close is in a good spot and nearly done. And we have a quality outline done for my parental leave. I’m feeling good about today’s progress. Time to wrap up some stuff and then meet up with an entrepreneur friend for a drink at the downtown speakeasy. 7:35 a.m. Ah, do I ever love coffee from the The Roosevelt Coffeehouse. I just sat down with my usual large drip with a splash of whole milk to bang out this update and then check communications ahead of meeting with Dustin, our design lead. Dustin and I are slated to touch base on the status of both the FlynnCon web page design as well as the book cover for Pat’s forthcoming book, which remains a bit of a top secret project so no I’m not going to spill the beans now. 1:31 p.m. That FlynnCon budget review was everything I wanted it to be. The team did a great job synthesizing revenue projections as well as projected expenditures. Best of all, we definitely identified some areas of bloat within the forecasted expenditures that can be refactored or eliminated completely to reduce our operating budget overall and, consequently, improve our bottom line projection. Gotta love math! 3:44 p.m. Man, this day is flying by. I had a good solutions chat with Mindy earlier during my office hours about her AMP’d Up Podcasting landing pages. It’s great to see her custom CSS skills improving. As a team, we’re still a ways off from where I want us to be in terms of our web design/experience. There’s a ton that goes into elevating and harmonizing our UI/UX across websites and pages in our online SPI ecosystem. Truthfully, it’s a bear, something that will require a top-down mission to complement our periodic bottoms-up work from project to project. Now, I need to pivot my focus to some emerging sponsorship opportunities for the SPI podcast. It’s encouraging to see bigger and bigger brands keen to meet us and explore a possible relationship. We’re rather picky with this stuff. We’re also more disorganized on this business front than I feel comfortable with. There’s a good bit of work to do to really make our sponsorship business unit first rate. 10:29 p.m. I just clicked publish on the February month-end finance report to Pat. I’m pleased with how the month shook out. Revenues exceeded our projections for the month and were up 10.7 percent YOY (year-over-year). Our online courses and our podcast sponsorships remained our top two revenue drivers. And our operating expenses dropped a lot as expected and began to normalize in the wake of an abnormally high January. All in all, it was a strong month despite the fact that we underperformed in some key areas of the business as compared to our 2019 business plan. It just goes to show that even when the numbers are good there are always things to be working on to improve performance, lean out operations, de-risk the business, and more fully achieve our potential. 8:45 a.m. I’m getting a later start today thanks to the final push last night to finish month-end close for March, but I’m feeling rested and motivated for another good day of focused, deep work. There aren’t too many meetings on the docket today. I try to keep Tuesdays and Thursdays as deep work days. It’s critical to protect such uninterrupted time even when a large part of your job is to directly support, train, govern, and enable others. The only meeting I have today is with Dave, our corporate accountant. We’re deep into tax season and we need to go through what I hope are a final set of items to clear the way to finalizing the tax returns. As much as I love the financial aspects of business, I really do loathe taxes. 9:30 a.m. I had to handle a priority communication that was unexpected. Always expect the unexpected, right?! It’s easy to get flustered when things like your daily routine get sidetracked, especially from the get-go. And it’s even easier to get upset and snarky when you’re confronted with an emotional situation because it strokes your own feelings in often unhelpful ways. When that happens, I remind myself to do two things. One: pause and breathe. The situation is almost never actually dire, and it’s usually unwise to fire off a quick response without much reflection. Two: reflect, look deep, and respond with kindness. The thing with problems is that they’re almost always systematic of underlying causes that are vastly less malevolent than the symptoms make them appear. As my team has heard me say a thousand times, “presume positive intent.” When people become upset, their outward behaviors are cries for help. They’re struggling, or confused, or in pain, or eager to do more and grow but feeling blocked in some way. If you can figure out the root cause of those obstacles, then you can orient the conversation away from the emotional symptoms and toward the objective matters in the way. 5:10 p.m. The day is starting to wind down. I made a lot of progress, including finally nailing our company’s mission, vision, and core values. Woot! We did a lot of work on these things as a team back in January at our Q1 business quarterly meeting and team retreat. It took some time to process all the notes, reflect on everything, and then put the final polish on them. I’m proud of what we developed. 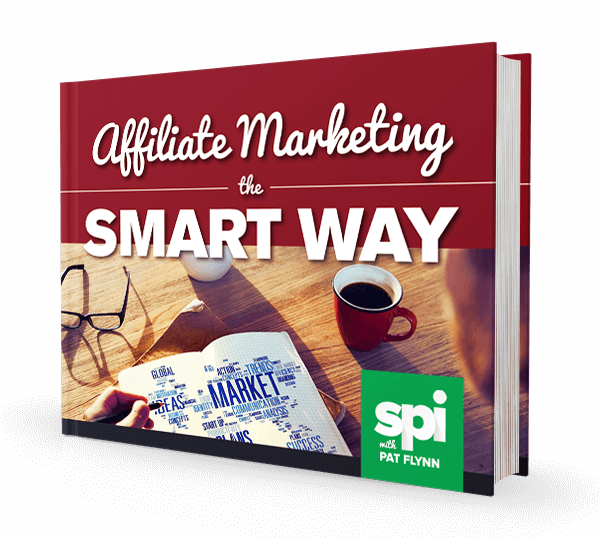 They were the final pieces to my How SPI Operates article, which published earlier this month. I also made some quality progress on refactoring two important aspects of our FlynnCon experience—both related to future events! I’ll tie those off in the morning and send through to Pat. He’s at Podfest today and into the weekend in part to deliver a keynote on Saturday. Hopefully I can connect with him at some point tomorrow to sync on the finalized mission, vision, and core values; FlynnCon items; and a host of other action items related to business priorities. Yup, there’s a lot going on. 11:30 a.m. I decided to hammer out my first update now over an early lunch. The team rallies on Fridays at noon eastern in our weekly retrospective/prospective. We simply refer to it as “retro,” a forum for everyone to share wins and struggles from the week that was on both the professional and personal fronts. The atmosphere in these meetings is almost always positive and constructive. Sometimes it can get tough. I appreciate and welcome both of those two dynamics because fostering a safe, authentic, and feedback-based culture is essential to empowering others. Ahead of retro, I crushed the rest of the FlynnCon items as well as began nurturing some possible new strategic partnerships that Pat identified recently during his travels in NYC. I’m also making headway on a fully developed operating model for our sponsorships business unit. My plan is to wrap up that model sometime after retro. 5:15 p.m. The end of the week is in sight, and it’s ending on a good foot. Pat just called me on a break at the conference. We got through some priority business items, though not all of them. Still, it was good progress on some things that needed to get moving. I also put the final screws in my parental leave plan and published that to the team. We ran through some of the high level aspects of it at the end of retro. I feel confident about it as it stands and will feel even better come early next week when I can run through it in detail with Pat and my direct reports. The last big win of the week was completing the ops model for the sponsorships business unit. I’m excited to sync on that with Pat, hopefully before my parental leave so that we can begin to put some elements of that plan in motion with some of the new brands I’m in conversations with about sponsorship opportunities in Q2. 9:17 a.m. I’m puttering a bit this morning. It’s Saturday, so I’m trying to give myself a break about it. Still, I woke up with some unexpected anxiety about next week. Despite the good day on Friday, there’s still a good bit to get in place before I’m out. And there are still a number of high priority business items to review, align on, and make decisions about with Pat. I’ll chalk up my nerves this morning to the ever escalating sensations related to impending fatherhood. But truthfully, I’m feeling very good about welcoming my child into the world. I feel that the heightened nerves are explained most simply by context: we need to be making business decisions more rapidly because time itself is becoming increasingly precious for all of us. I’m already feeling that extra time pressure even before baby has arrived. Delayed decision making for this or that reason or excuse is simply gnawing at me more. That’s what happens on a Saturday where my mind can wander more into the crevices of our work. I find that it’s easier to distract myself from these feelings during the week with the work at hand. Summary: My seminal takeaway from this week is that we’ve only just begun to spread our wings as team SPI. The transition went extremely well, which is a wholly different thing than our transformation. A transformation includes such things as a collective identity, cultural norms, pace of action, evolution of knowledge and skills, and drive to produce results at heightened levels of impact, scale, and significance. Transformations take more time than transitions. Still, I feel a surge of energy to transform faster so that we can harness our collective potential more quickly and channel it into achieving our stated goals. We’re approaching the end of Q1, which is a great moment to reflect on the state of things and their trajectory. I’m excited to capture these reflections and use them to help lead the team forward into an even more successful and uplifting Q2.